Helping new families right from the start! 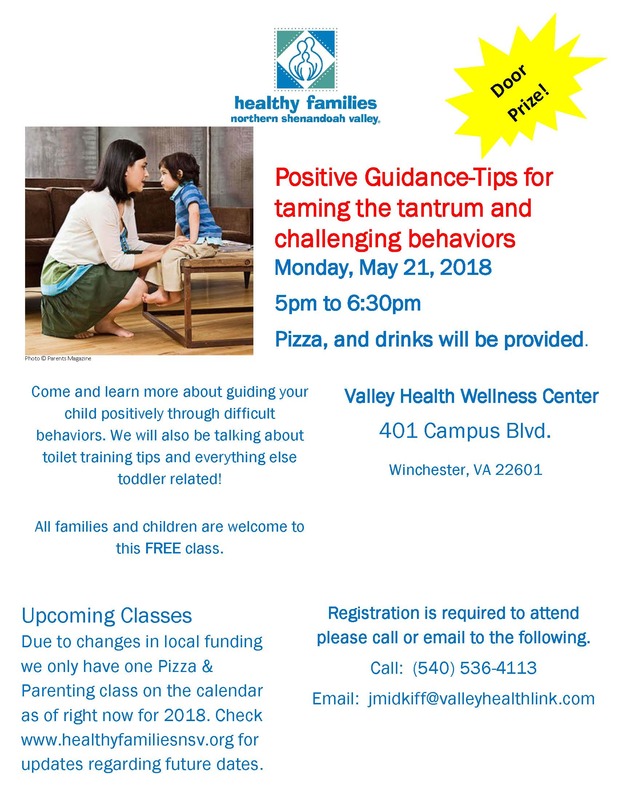 Healthy Families Pizza & Parenting – Positive Guidance Monday, May 21st! Come and learn more about guiding your child positively through difficult behaviors. We will also be talking about toilet training tips and everything else toddler related.